Comet only has one tail | 10 Most Popular Misconceptions About Astronomy! Comets which are close to the sun, typically have two tails - one gas and one of dust. 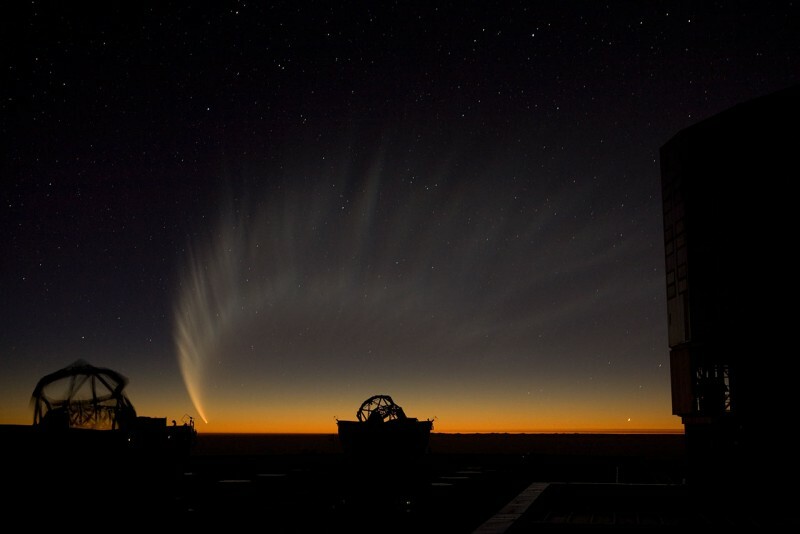 The tails have no effect on the direction of the comet motion. When approaching to the Sun's surface, comet is heated. Wherein the frozen gas is released that allows huge amounts of dust to release too. Gas plume arises from the effects of solar wind on the released gas, and it is pointed to the opposite side of the sun.